Equip your router with VyprVPN to easily extend VPN protection to all the devices on your home network regardless of platform, operating system or device type. If your device can connect to your router, it can use VyprVPN! Maybe you want your laptop, PS4 and iPad to use VPN, but not your Smart TV. The VyprVPN Router App makes that possible. You can apply default settings to all devices you haven't specified settings for. This allows you to configure how you want guests and other unplanned devices to use VPN. 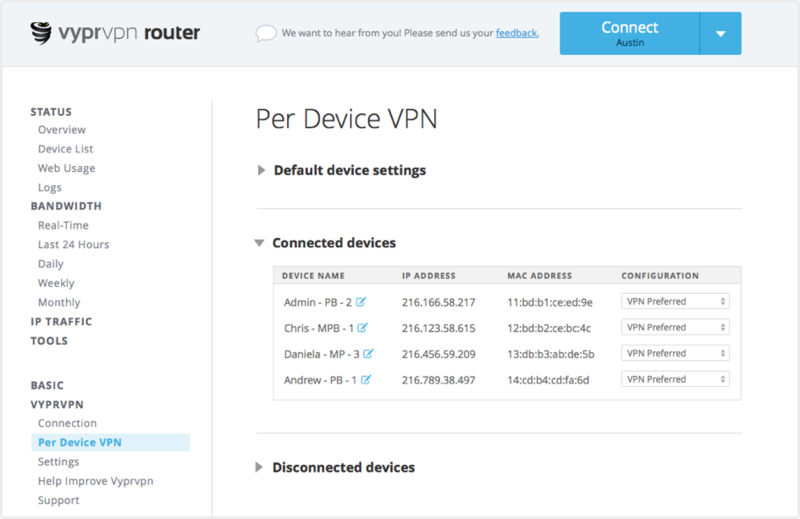 Control the VPN settings for all devices on your router with one click. Change server locations, protocols and more from one place. We engineered exclusive security and privacy features for defeating censorship, encrypting your connection and protecting your personal data. Choose between multiple protocols including PPTP, OpenVPN (160-bit & 256-bit) and Chameleon. The VyprVPN Router app is only compatible with routers on the Tomato MIPS/ARM framework and you must already have active VyprVPN service to use it. The app works like a plugin, adding VyprVPN tabs to your normal router settings tabs. 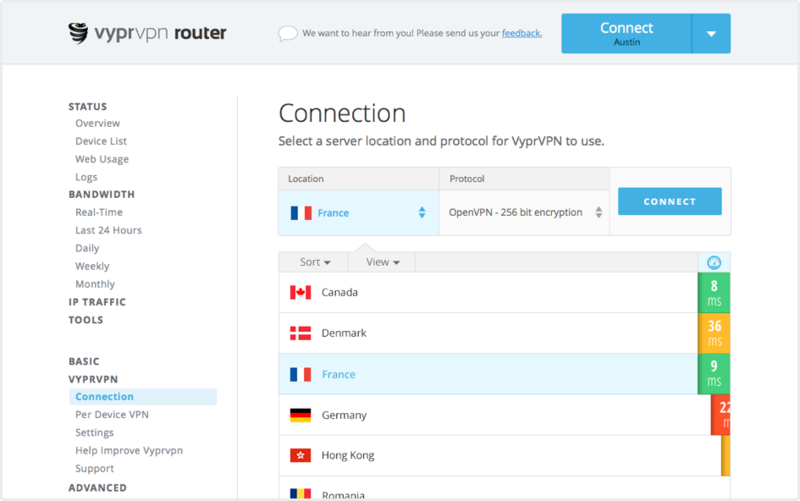 Follow these step-by-step VPN router setup instructions to equip your router with VyprVPN.